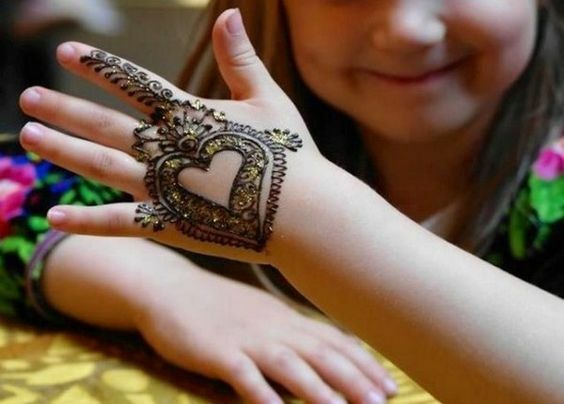 Glitter is a kid’s most favorite thing whether it comes to drawing, playing or even applying it on their hands. 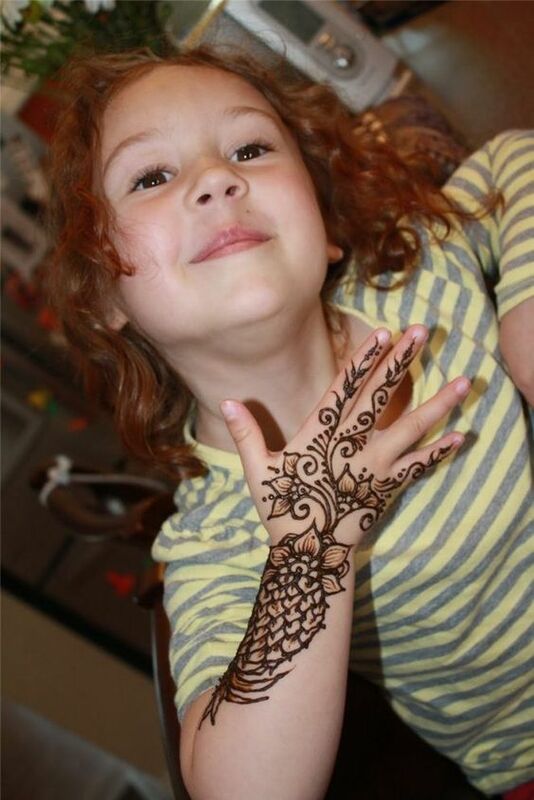 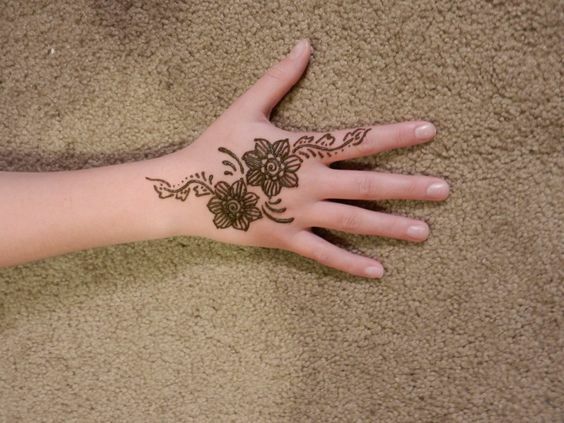 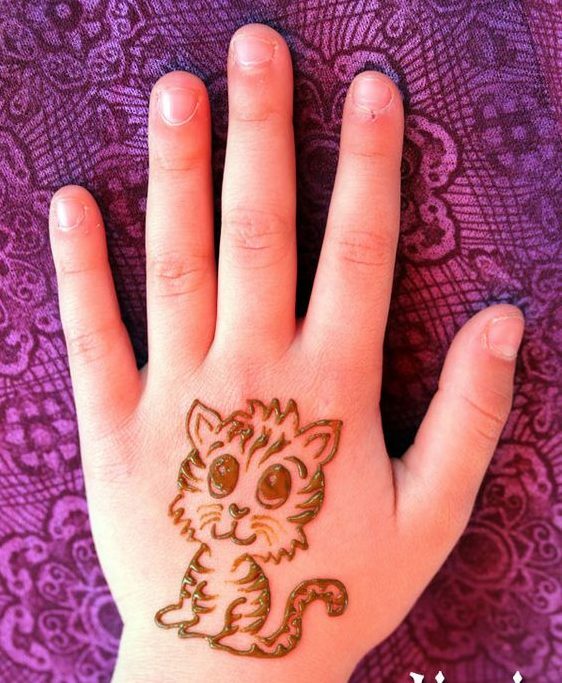 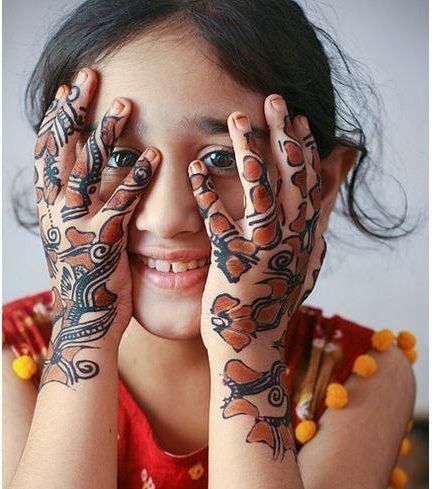 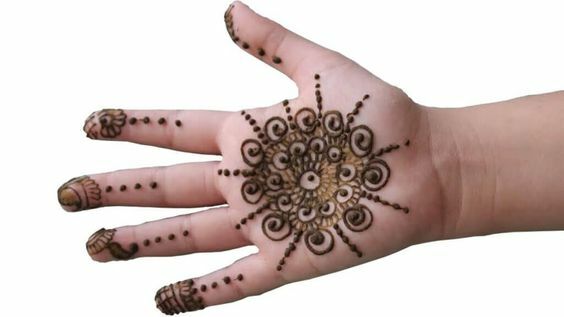 What could be better than glitter mehndi for kids? 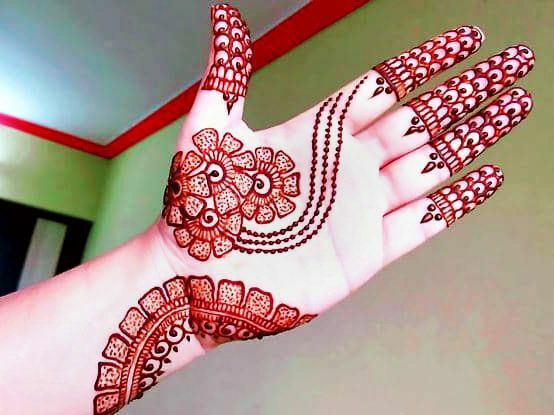 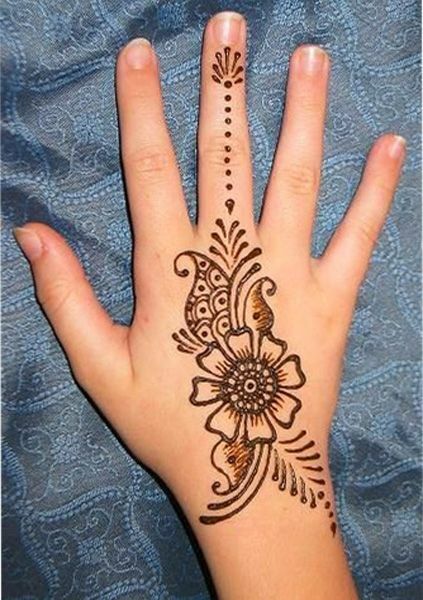 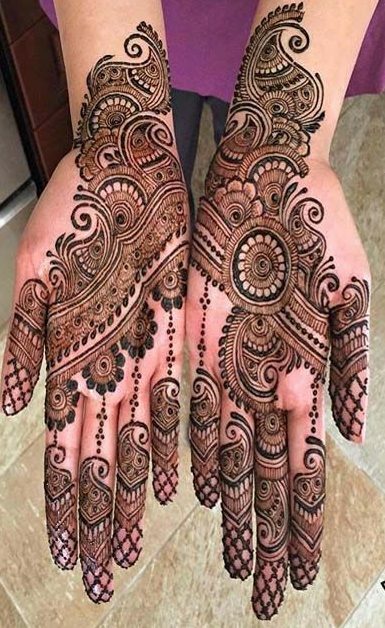 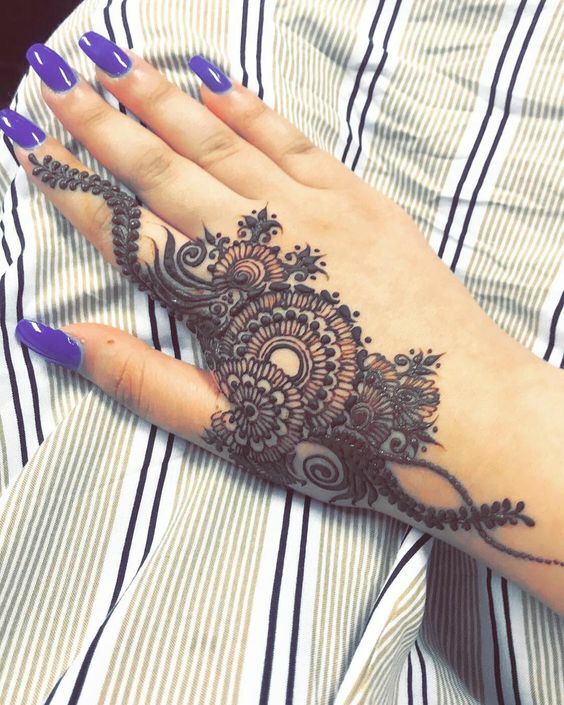 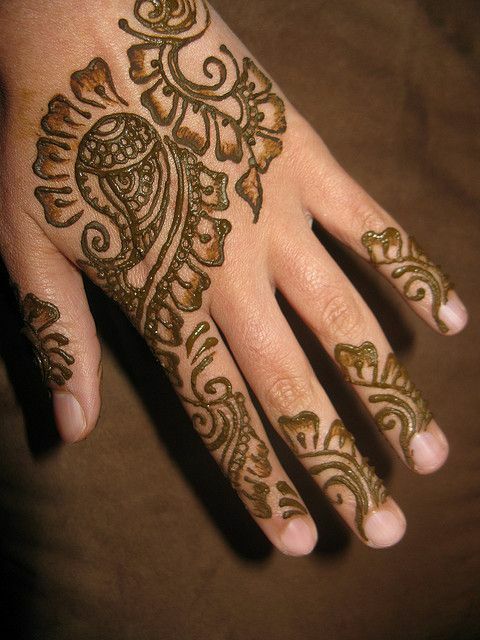 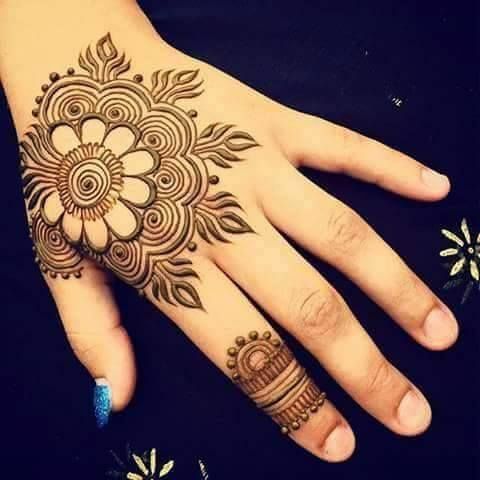 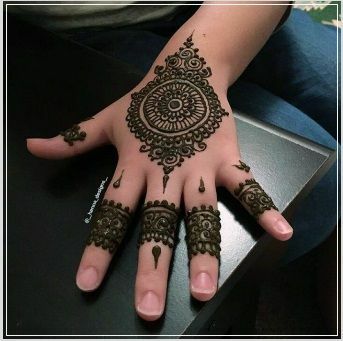 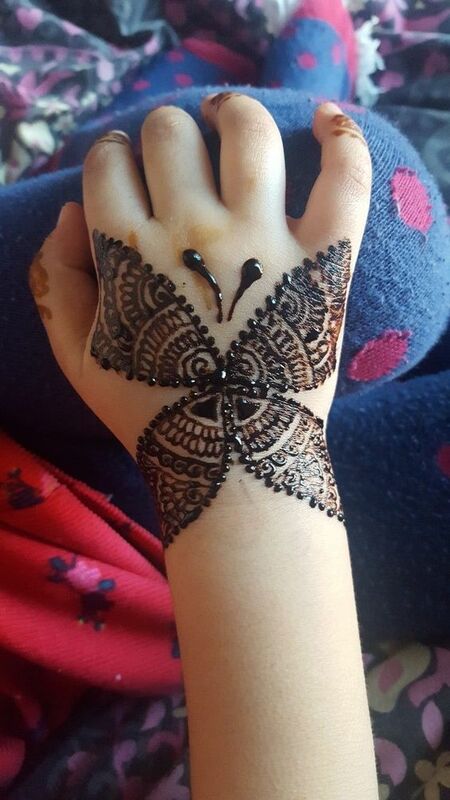 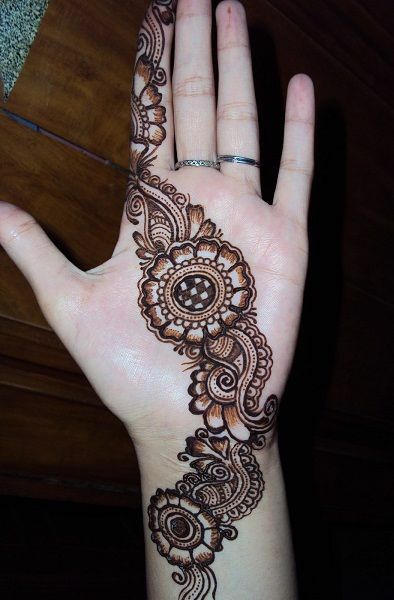 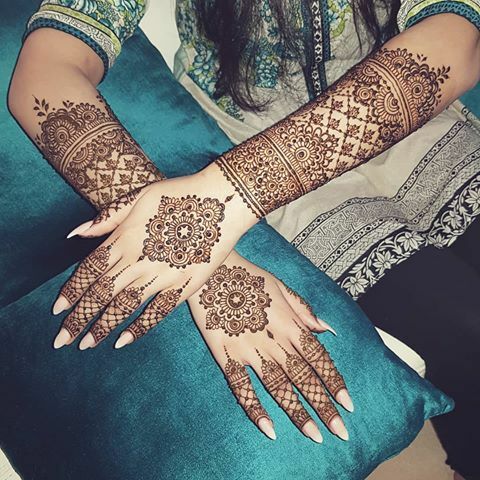 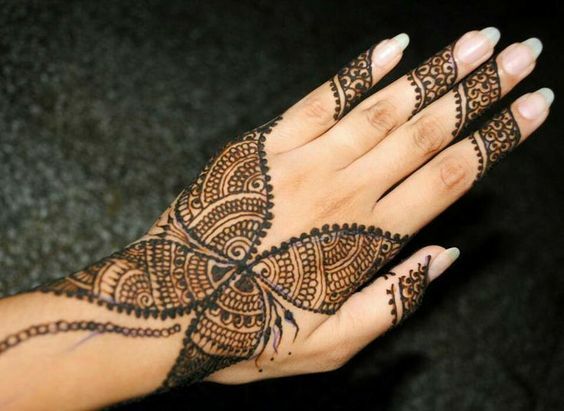 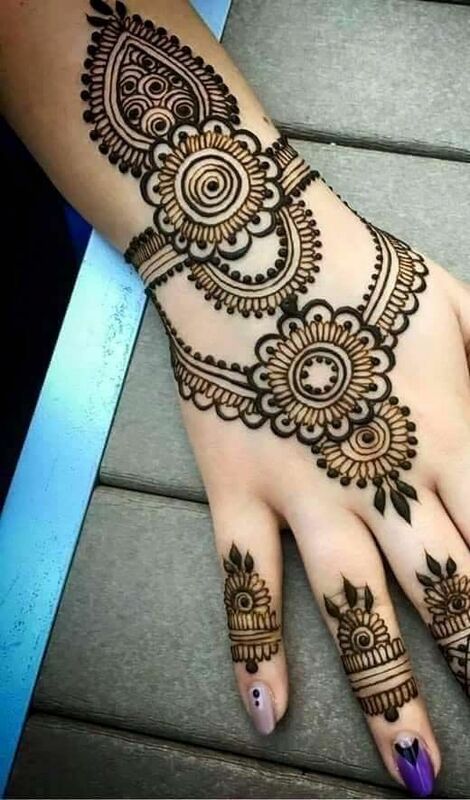 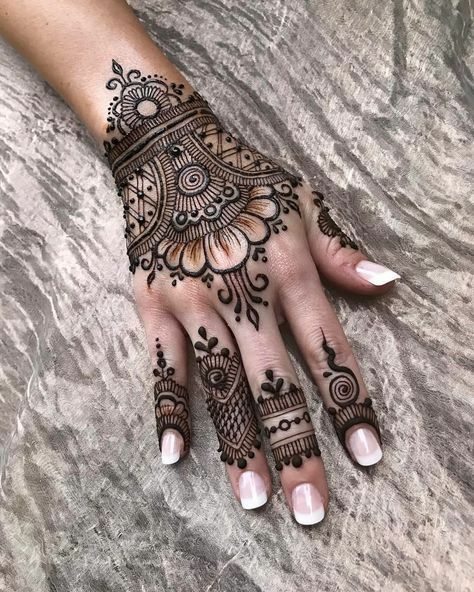 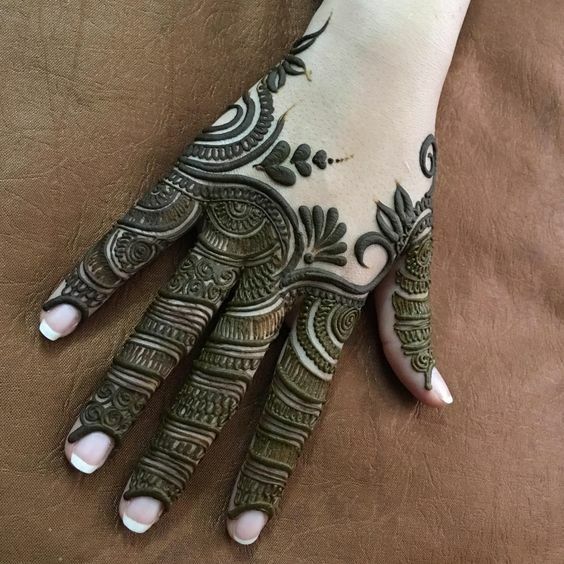 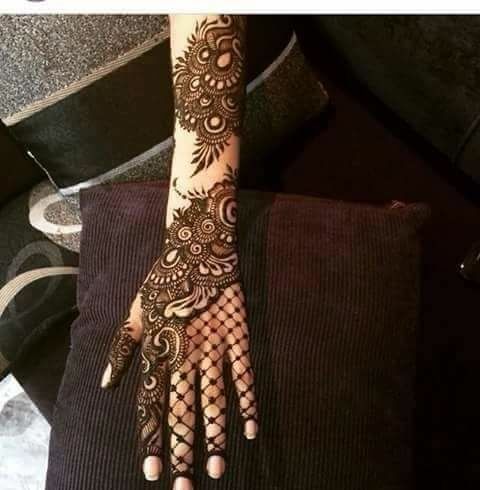 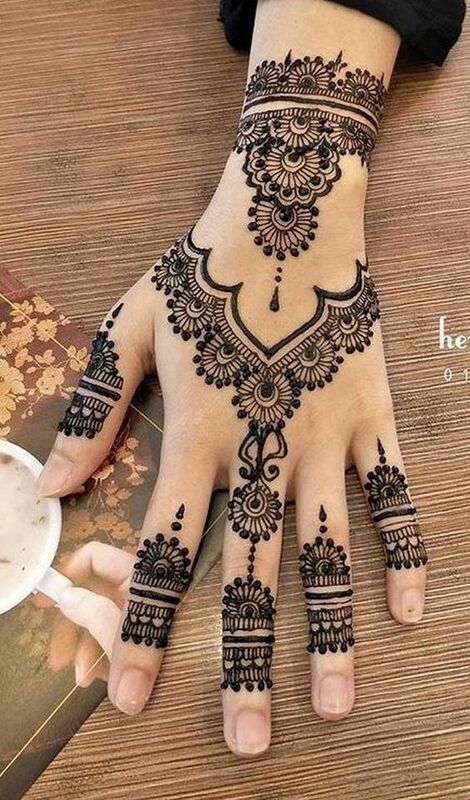 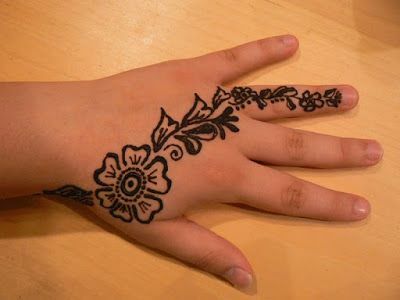 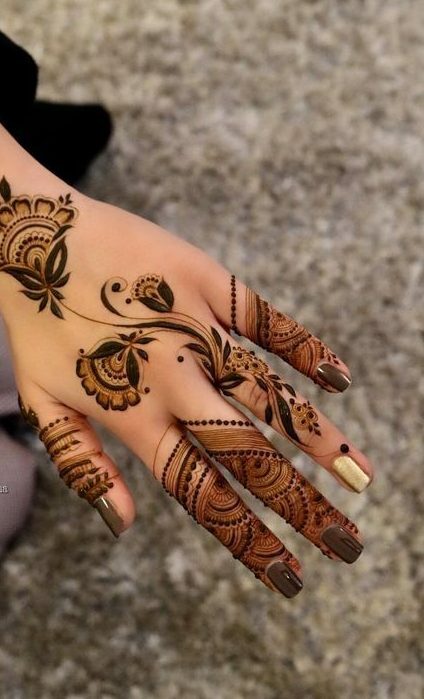 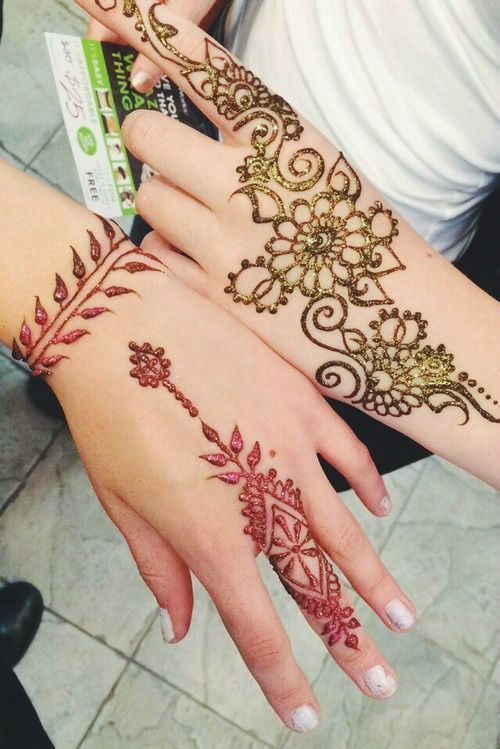 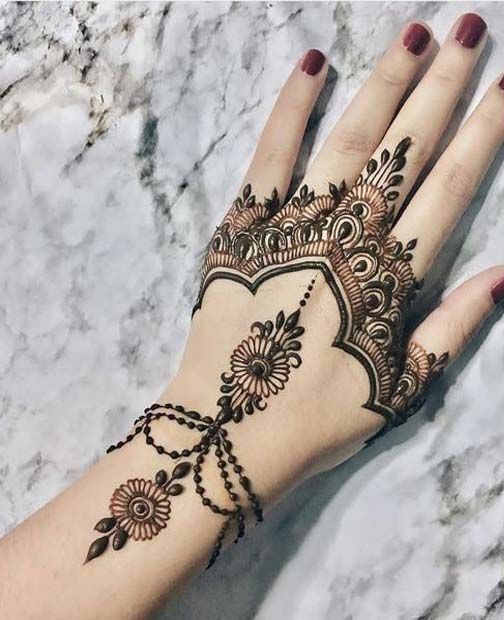 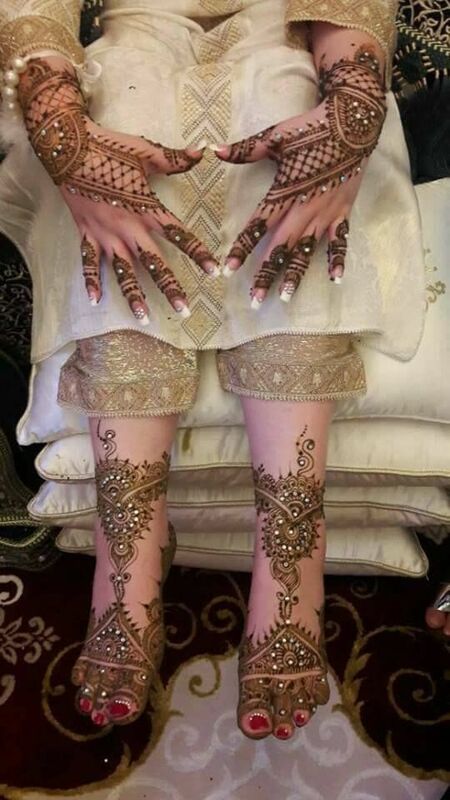 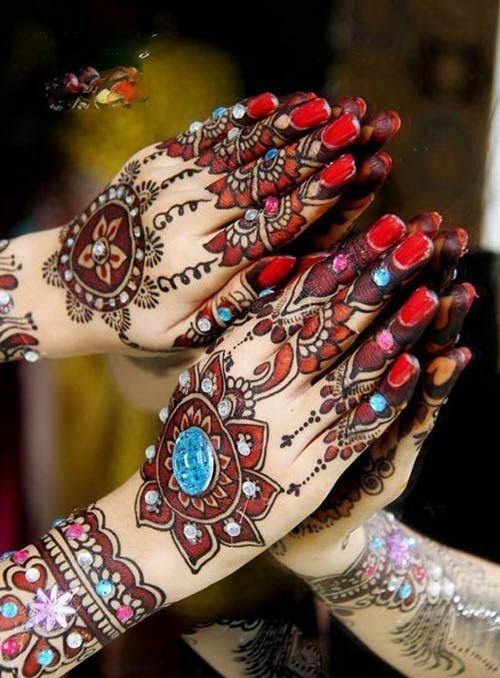 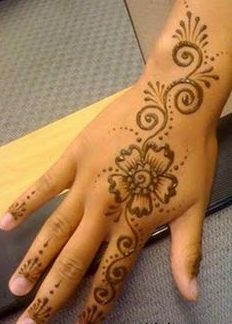 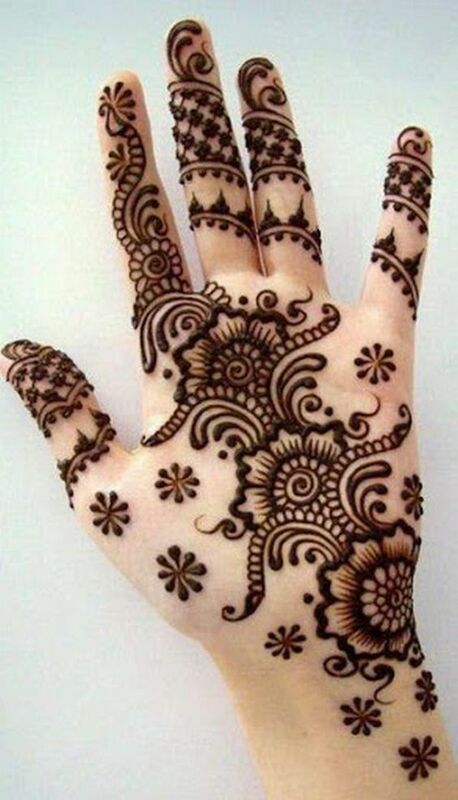 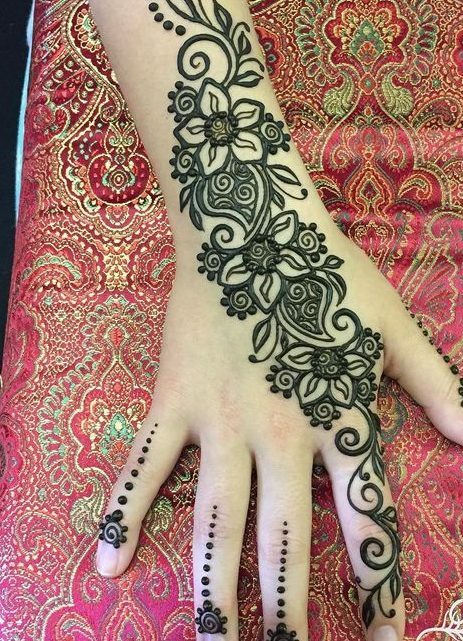 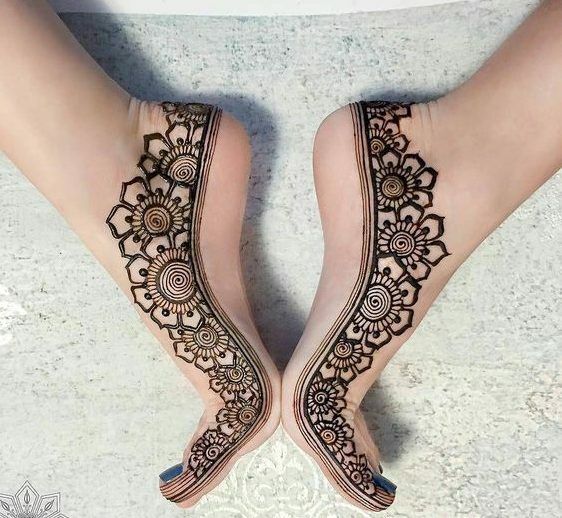 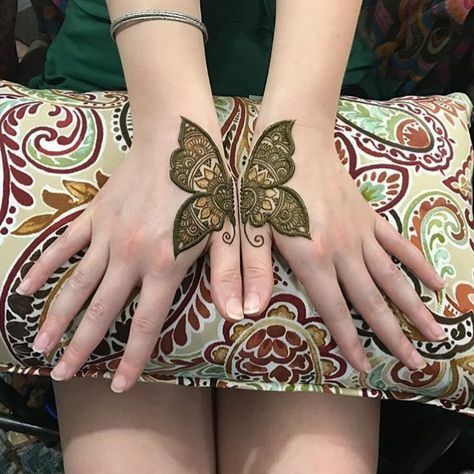 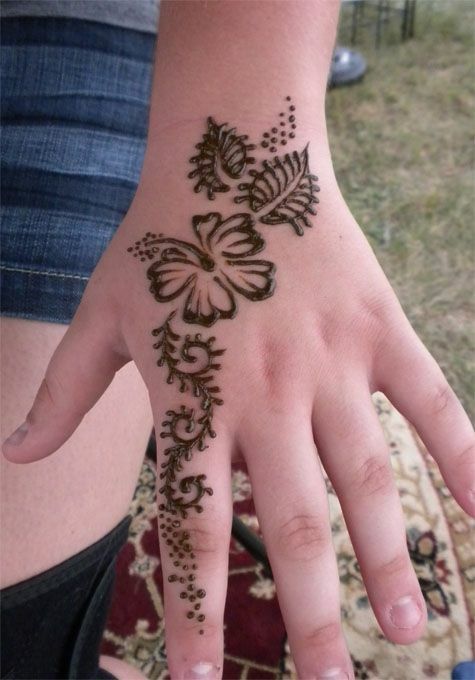 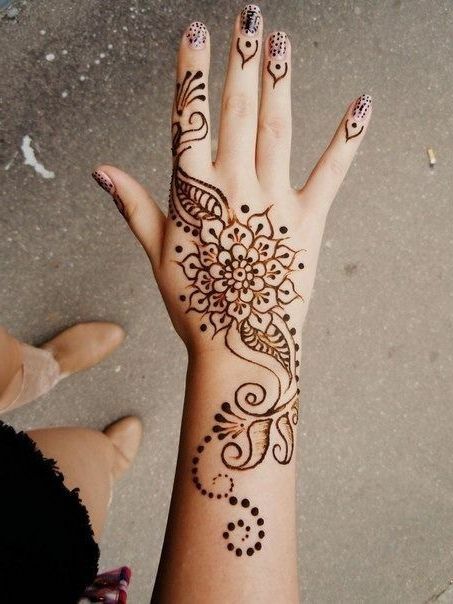 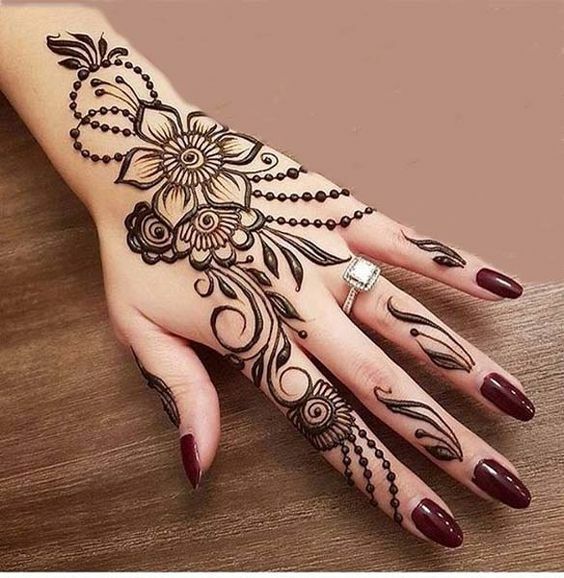 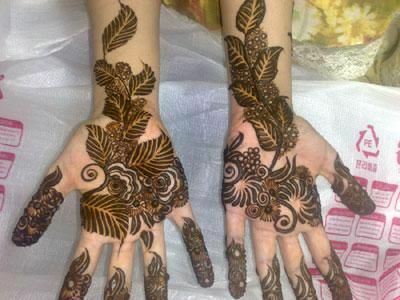 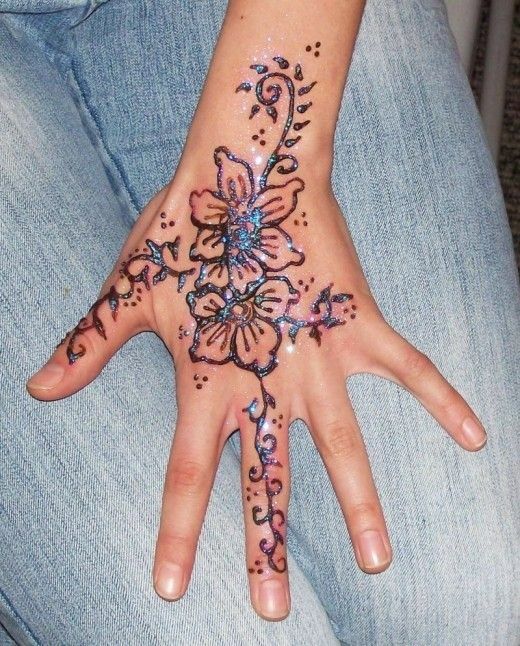 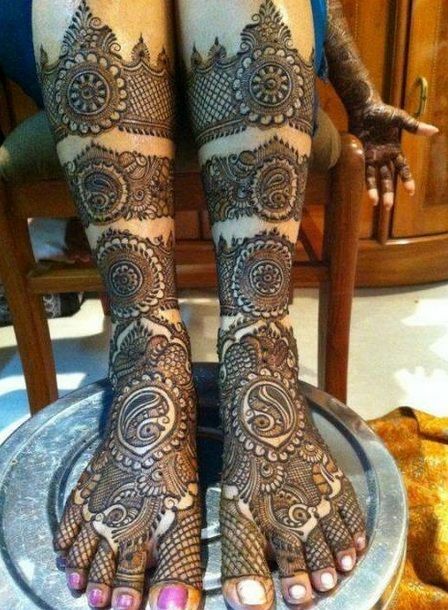 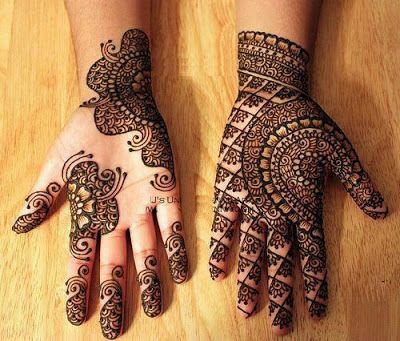 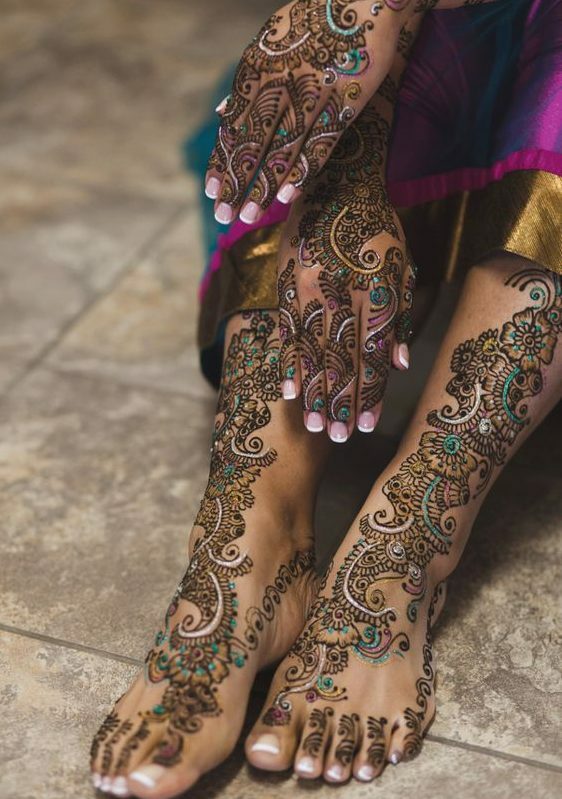 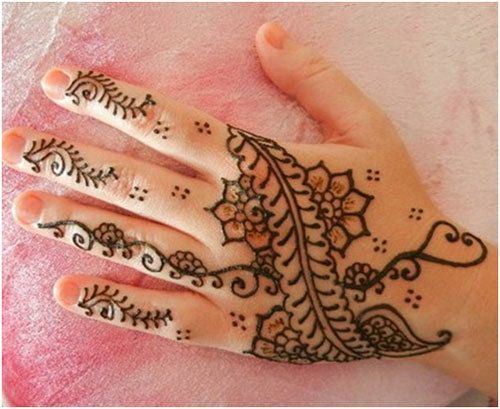 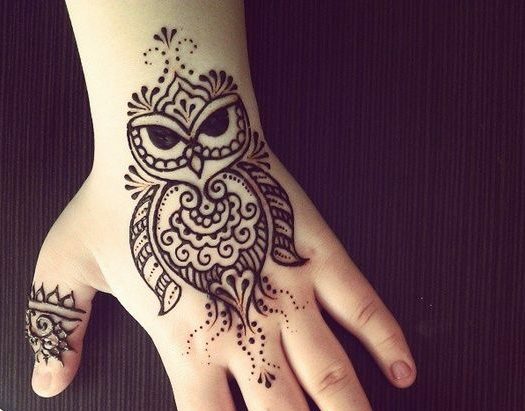 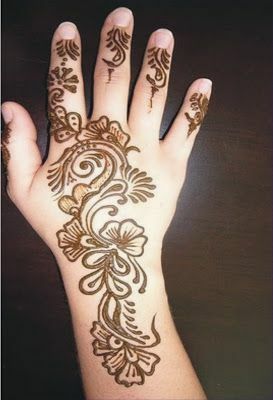 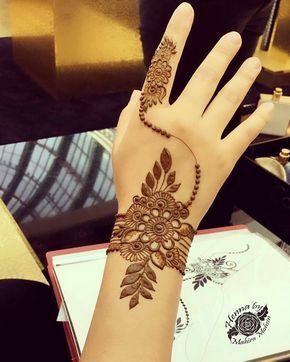 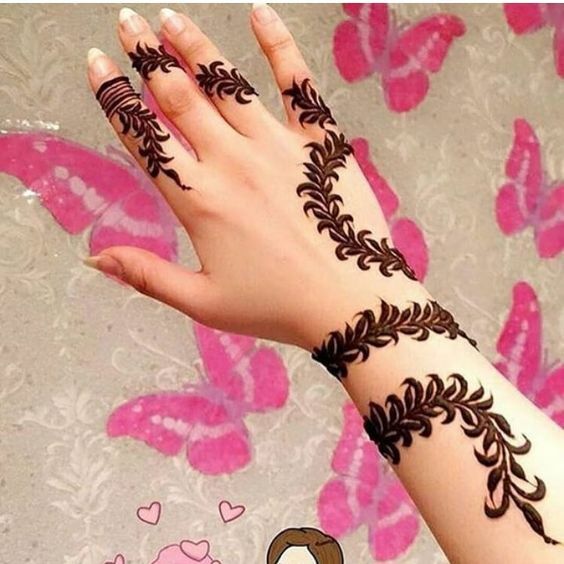 Here is one gorgeous mehndi design where you can see some floral and vine patterns.